Tagged under Nobuyuki Anzai, SynergySP, Series. Ginta Toramizu is your average 14 year old junior high school loser, he's short, he's not very good at school, and all he does is day dream. As luck would happen, Ginta constantly dreams of a fantasy world (and more importantly the fact that he is a hero in this world) until one day his dreams come true and he is sucked into his dream world. 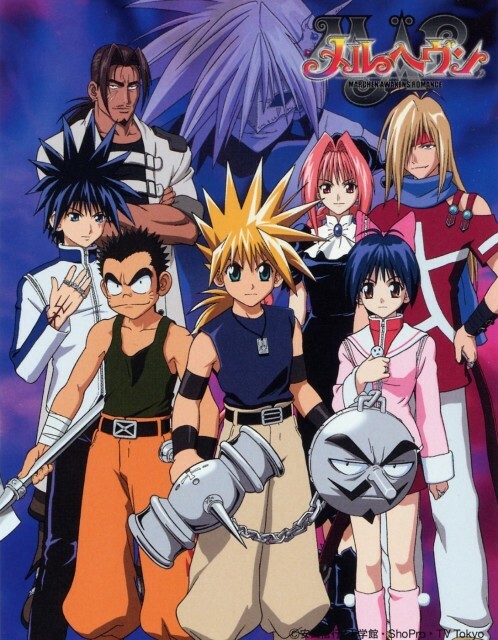 Once inside the dream world Ginta soon realizes that he is now blessed with strength that he once lacked, as he tosses off his dorky glasses and begins to battle Guardian Arms (more on this later) that would kill a normal person. After meeting the Witch Dorothy, Ginta learns about the magical Arms, which can cast spells, transform into guardians and even hold the ability to return him to his home. After following Dorothy around for a while Ginta and Dorothy learn of an ultra powerful arm hidden away in a cave. And after a little bit of fighting Ginta acquires the ultra powerful Arm known as Babbo which is so heavy that only Ginta can use, but can also talk. When Ginta and Babbo unite the true adventure begins as Ginta begins his search for the Arm that can return him to his home, and Babbo searches to become a human again. The world of Mar is filled with mysterious creatures, dangerous foes and unlikely allies. The story behind Mar is pretty simple, and anyone who has ever read a fantasy book before can see some obvious similarities between Mar and classic fantasy novels. With that said Mar is an entertaining read for children and would fit perfectly into the hands of a 14 year old book worm. It's been done before, but who doesn't enjoy a fantasy story where the loser becomes the hero.